1. Chromecast is my new favorite thing! My friend Allison gave me this handy dandy contraption as a late birthday gift and it rocks! When I moved into my apartment, I decided not to get cable. Even when I did have free cable at my last apartment, I ended up watching my favorite shows online anyway, so why pay for something that I’m not really going to use? I have a Nexus and would watch my shows on that and it worked out just fine… but it is so nice being able to watch Netflix on my big TV! And I can watch YouTube videos! Oh boy! 2. So it turns out sitting all day isn’t that great for you. I try to take at least one walk a day and I like to get up to talk to coworkers instead of calling or sending an email, but I’ve been noticing that my posture is getting pretty bad. Sitting, reading, and editing all day can make you get all slumpy. Something I definitely need to work on! 3. Look at these adorable measuring cups! I got them for a friend this past week as a housewarming gift (she LOVES mason jars) and I’m seriously considering going back to World Market and getting a set for myself. 4. I have been starting to think about the possibility of maybe looking into buying a house sometime in the future (wow I sound super confident about that!) but I think I am having more fun planning how adorable the inside of my super cute house will be. One day. 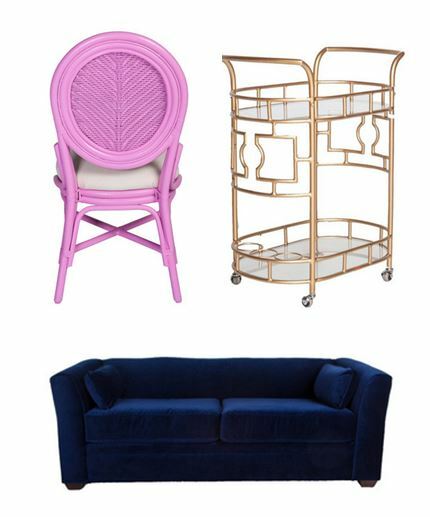 I keep going back to Society Social to look at furniture- they have some really cute stuff! So bright and colorful! 5. Long live the #PSL. “Excuse me, madam, let me just say something- there are too many hashtags in that sentence. What you need to do is spend less time hash-tagging and more time with your adult life because obviously you got too much time on your hands.” Thank you for that, Jay Pharoah. I want to say that to 93% of people on the internet.